Santino Lucà is a vigneron who has given form and vigor to most of the Locride (on the Ionio sea)vineyards. It is an inexhaustible source of knowledge of native grapes and of the wine-growing area, a wealth of skills that the children intend to preserve with determination. Hence the commitment of the Lucà brothers to renew the family winemaking tradition by enhancing the excellence of the grapes with the production of sweet wines that, while maintaining the link with tradition, are able to give the taster emotions still unexplored. Lucà wines are a perfect synthesis of the elements that characterize the territory: the warmth of the sun, mitigated by the evening breeze of the Ionian Sea, the brightness of long sunny days. 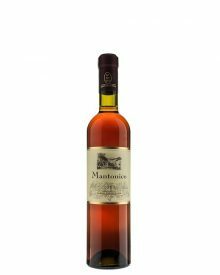 The Greco di Bianco DOC and the Mantonico passito IGT Locride are wines capable of giving great satisfaction to those who produce them and great emotions to those who taste it.